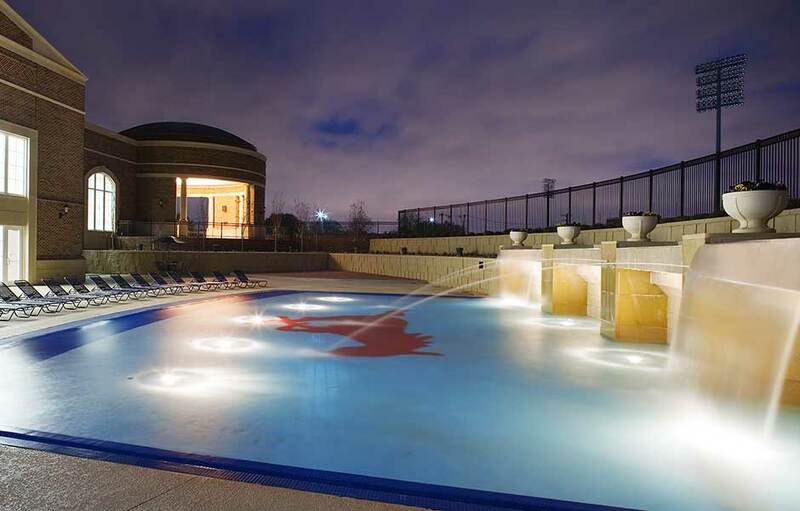 The SMU Dedman Center for Lifetime Sports is a premier campus fitness and recreation center. 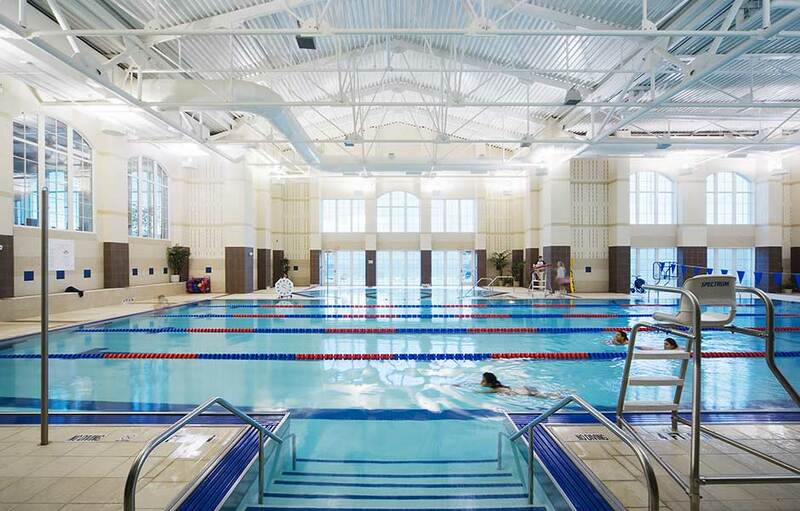 The center features a combination fitness, competitive and recreational pool – along with the popular outdoor fountain known as the falls. 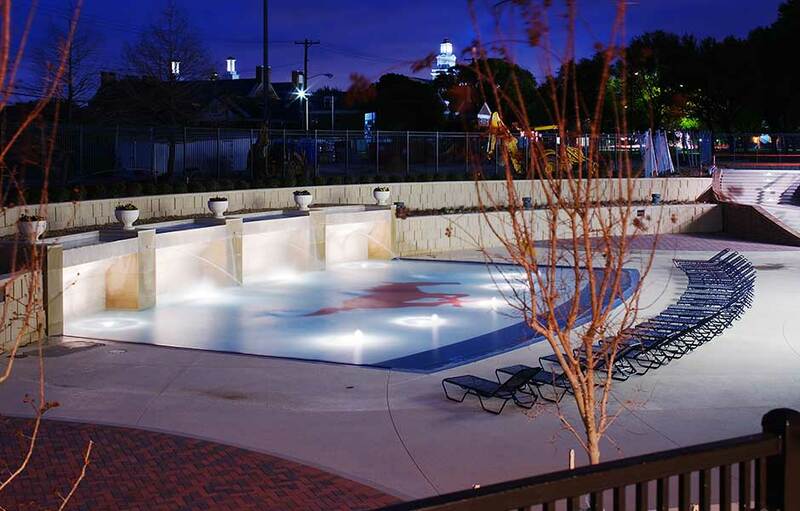 The project features a stainless steel deck level gutter and unique logo tile work. 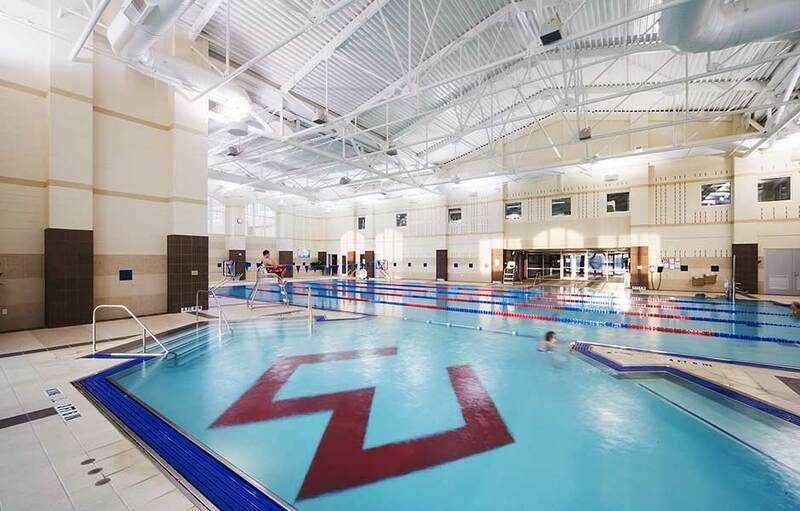 The Dedman Center was one of the early implementations of medium pressure UV to control chloramines odor – adding to the state of the art atmosphere of this unique facility.